Kelley Hecker | I Went to E3! I was lucky enough to go to E3 2013 for its last few hours. I’d never been before and it was a bit overwhelming, but still really cool. I just wish I had more time to look around. Next year hopefully I can go for all three days. Nintendo’s booth was my favorite. They had little scenes set up for all their new games where you could get your photo taken. 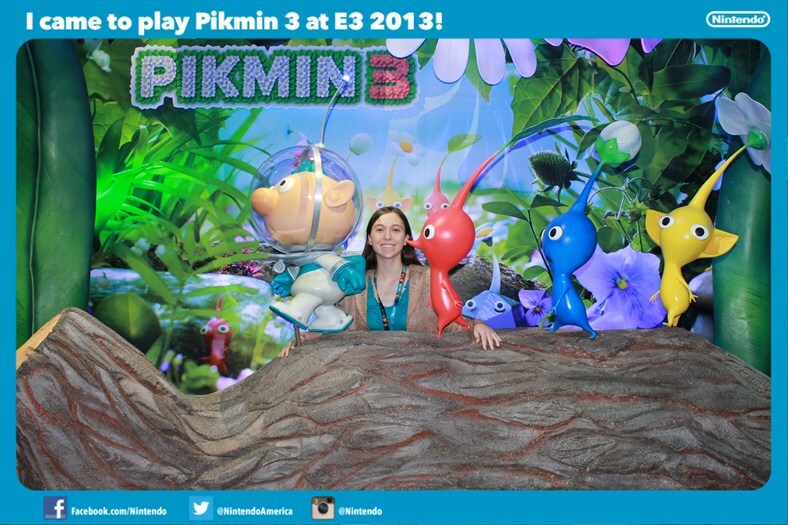 I got a picture with Pikmin and in a Super Mario Brother’s warp pipe. I also checked out the IndieCade booth. While not as spectacular as Nintendo, it was still fun to see all the awesome games being developed independently. I even got an honorary fry cook hat from Forsaken Planet!